But Campbell’s focus on civic responsibility converges perfectly with the Sullivan Foundation’s support of changemakers intent on improving lives and outlooks. Campbell’s more than 6,200 students prepare to be servant leaders in disciplines from business to medicine, sports management to engineering, divinity to homeland security, to name just a few. The student body logs an average of 80,000 service hours yearly in projects such as an annual spring Inasmuch Day of Service and a Mustard Seed Community Garden that donates produce to a local food pantry. Campbell’s longtime focus on service today aims directly at the needs of underserved communities–globally, nationally, and especially in rural areas. Intent on building on Campbell’s history with the Algernon Sydney Sullivan Foundation, the office of its president, Dr. J. Bradley Creed, issued a University-wide memo calling on all undergraduate deans to nominate their most promising changemakers to attend the October 2017 Ignite Retreat in Black Mountain, North Carolina. 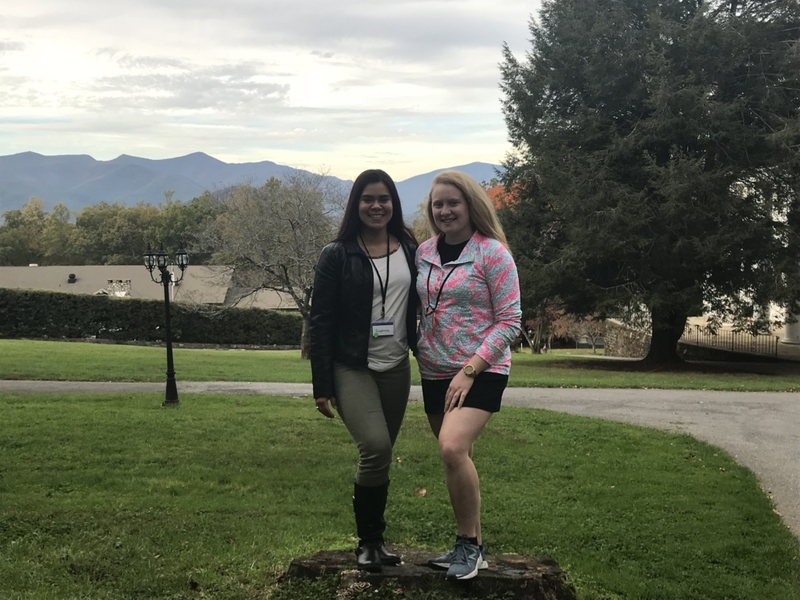 Not surprisingly, Kelly Fuqua and Daphanie Doane, the president and vice-president of Campbell’s Social Entrepreneurship Club, respectively, were among the 11 Campbell Camels who attended the retreat. Both were attending Ignite for the second time. They went to Ignite the first time to define social entrepreneurship for themselves. This time around, Fuqua and Doane went to Ignite to hone their skills at organizing, networking, fundraising, and promoting social change programs on campus. Involved in myriad projects and carrying hefty course loads, both name Campbell SOUP as their “pet project” and want to boost student participation for the next event. Based on a Detroit SOUP community peer-to-peer funding model launched in 2010, Doane describes Campbell SOUP as “a micro-granting dinner that provides the opportunity for local start-ups, non-profits, or anyone with an idea to win funds to support their project.” Attendees pay $5 at the door for a meal of bread, salad, soup, a drink, and a voting ballot. They listen to presenters’ five-minute pitches, then vote to fund the most deserving, winner-take-all project. 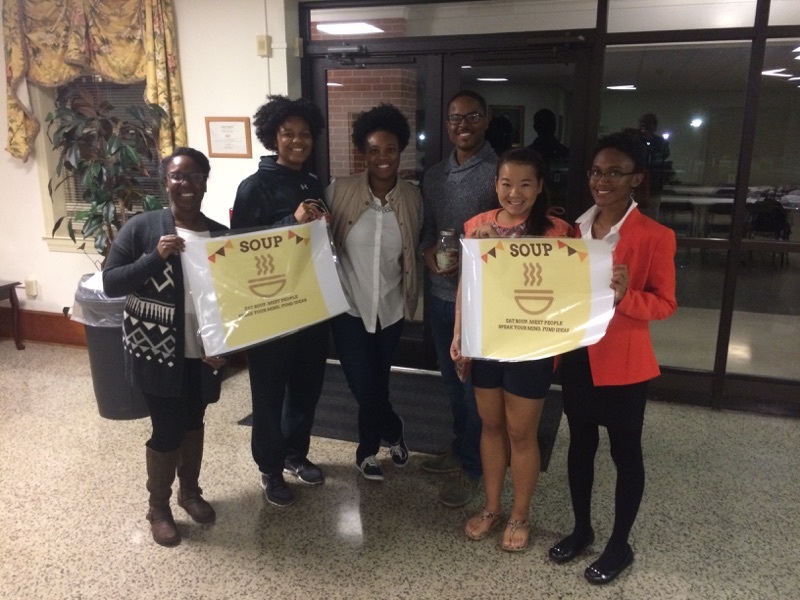 SOUP at Campbell was started in 2016 by the Social Entrepreneurship club’s then-president Diane Ford, who also attended two Ignite retreats, including one with Doane and Fuqua. After hosting successful events in November 2016 and April 2017, Ford graduated in May and handed over the reins of the club, and the SOUP, to her friends. Attendees of the most recent SOUP came to Campbell’s Lynch Auditorium and voted Buddy Backpack of Angier the winner, providing the organization with the proceeds of the evening, matched by the Campbell Office of Spiritual Life. Buddy Backpack provides low-income elementary schoolers with nutritious food over school-year weekends and holidays, and the Campbell event is funding this for one student for more than a year. 2019 BBA/MBA candidate Fuqua is driven by a desire to see renewed hope and faith carried out in action. She volunteered with New Hanover County Teen Court all through high school, an experience that influenced her chosen career path. Doane’s changemaking resolve was strengthened last summer working as a mentor for the Campbell Youth Theological Institute, which focused on social change. She worked with the Five N Two food pantry in Harnett County as well as the Metanoia Community in Charleston, South Carolina. “It was amazing to see the projects they had set in place and had accomplished to better their community,” says Doane. 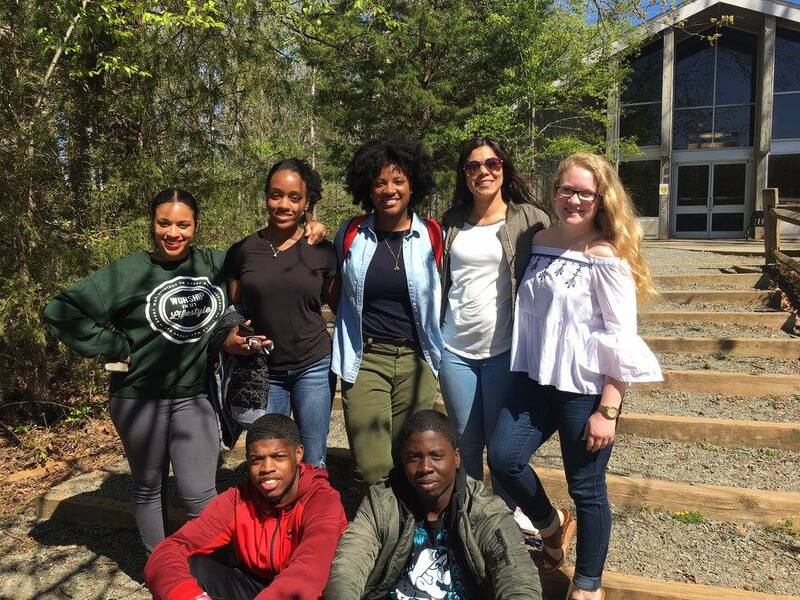 Before the spring Ignite retreat in Raleigh, North Carolina, Doane and Fuqua will accompany Professor Scott Kelly, Instructor of Business & Entrepreneurship, to the 19th Annual Social Enterprise Conference presented by students at the Harvard Kennedy School and Harvard Business School. And then there’s program planning–including a beefed-up Campbell SOUP–for the University’s 12th annual Business Week event April 2-6, 2018. Fuqua and Doane were instrumental in shaping the Social Entrepreneurship theme of the weeklong event.